Going green means you have a lot of choices for materials and building practices. One great option is the insulated concrete form or ICF. These are made from rigid foam blocks spaced apart with rebar. They are stacked together, and concrete is poured between the foam to create a seamless and insulated wall. 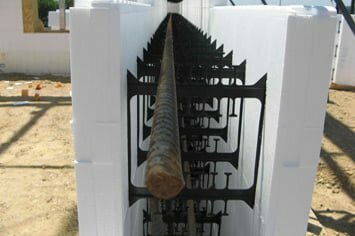 Here are the top five advantages of insulated concrete forms. Concrete-like substances have been around for centuries and one of the reasons it is so popular is its green qualities. Concrete maximizes the use of recycled materials such as fly ash, slag, silica fume, and other crushed concretes. It also uses less energy to produce concrete than wood or steel products. Use of concrete and ICF also means less construction waste since exact amounts can be used. Concrete has a high inherent thermal mass. This means that heat exchange is slow to take place, maintaining a steady temperature inside your home. When you combine the natural insulation of concrete with the high R-value of the foam, ICF can result in significant energy savings. In fact, you could save upwards of 60% on your bills as compared to heating and cooling a traditional stick-framed home. ICFs are a unique option for building, and the design possibilities are endless. ICFs can be shaped and cut into any size, style, and configuration of home, even curved walls. Almost any exterior can be paired with your IFCs and the interior is plumbed, wired, and walled in just as a traditional home would be. 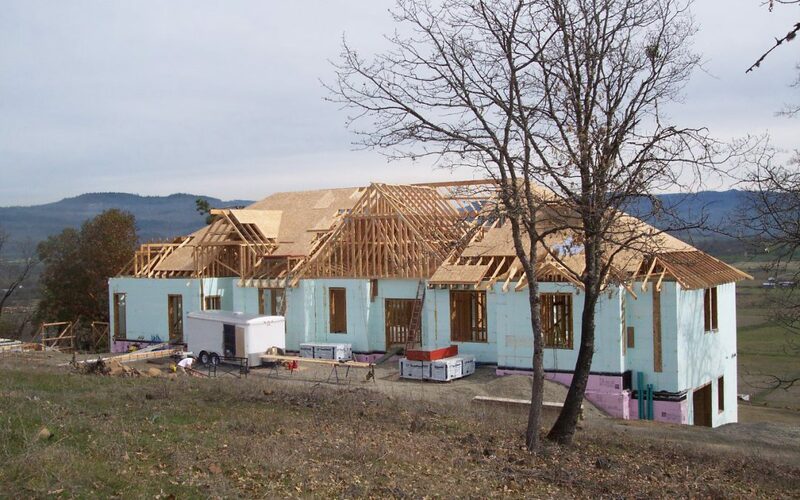 Whether you want an ultra-modern, colonial, bungalow, or any other look, ICFs can become it. Concrete walls can stand up to winds of up to 250 mph, making ICF the perfect option for tornado and hurricane-prone areas. The monolithic structure of concrete also makes walls 9x stronger than a stick-framed home, increasing safety in earthquake zones. On average, concrete structures last two to three times longer than buildings made with common materials. ICFs snap together like Legos and then concrete is poured between them to create a seamless wall. This design creates a water and weather barrier that is resistant to the elements. Concrete is fire resistant because it will not burn. Concrete is resistant to rot, mold, or deterioration due to water damage. Concrete is also resistant to insects which can easily damage a stick-framed home. There are a lot of reasons to choose ICF for your next building project. 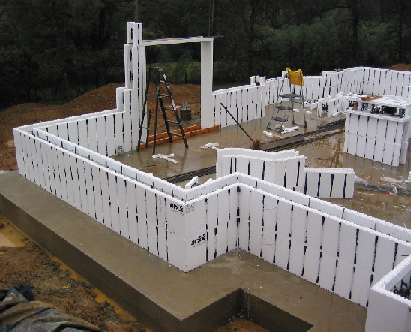 If you want something durable, beautiful, efficient, and green, choose an ICF building. Make sure to use a team like the one at Precision Structural Engineering. Our engineers are experienced and skilled in sustainable construction and have long standing relationships in the construction industry. We can help you create the unique ICF structure you’ve always dreamed of.